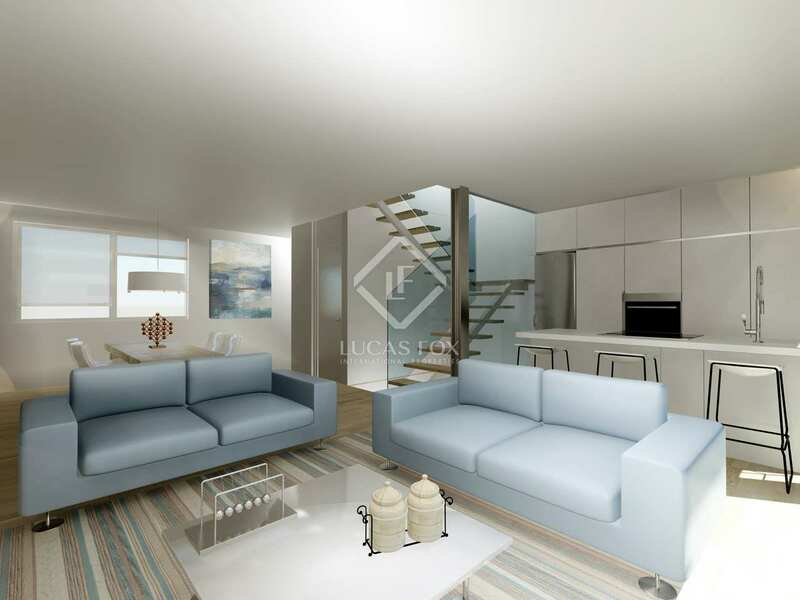 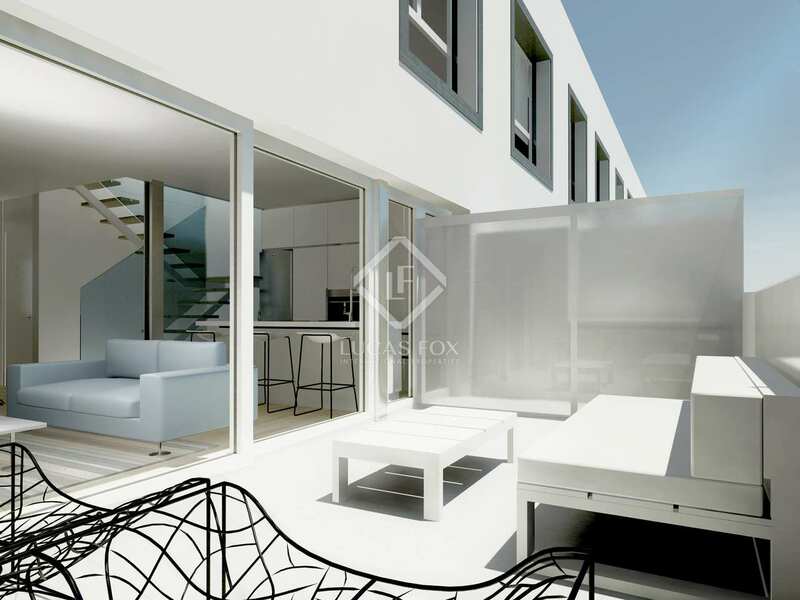 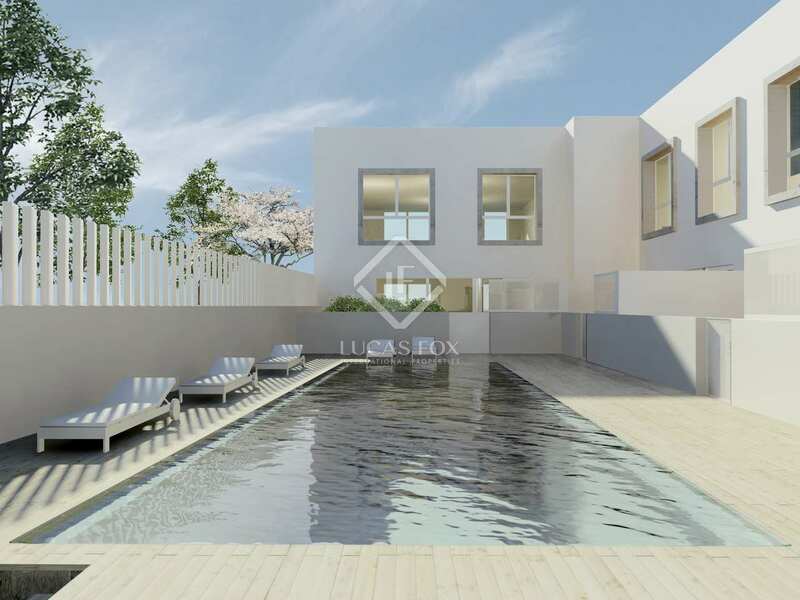 A new development of 4-bedroom townhouses with a communal pool, in an up-and-coming area of Valencia. Spacious contemporary new build homes with large terraces, parking, private storage rooms and a communal pool. 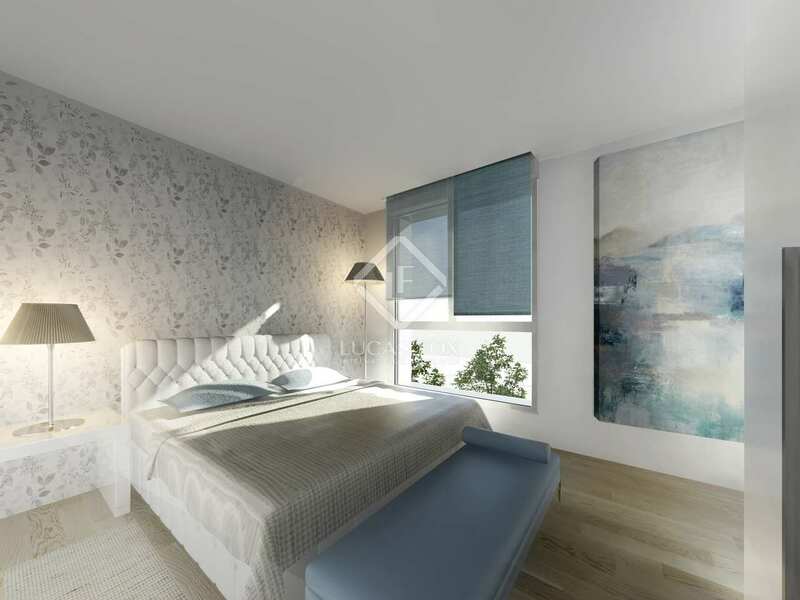 This exclusive development of new build homes offers six modern and spacious townhouses in the city, all with independent access from the public street. 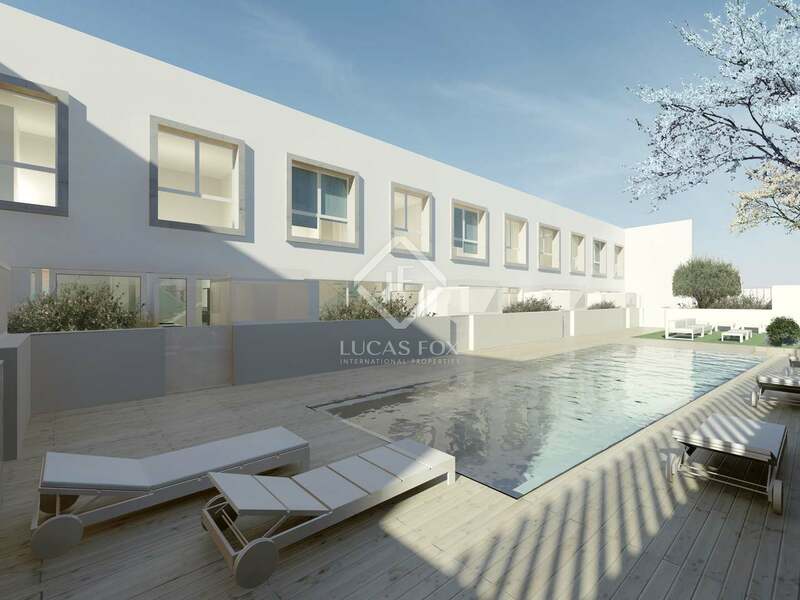 These beautiful homes have large private terraces and enjoy access to the common area with an attractive pool, the ideal space to have fun and relax. 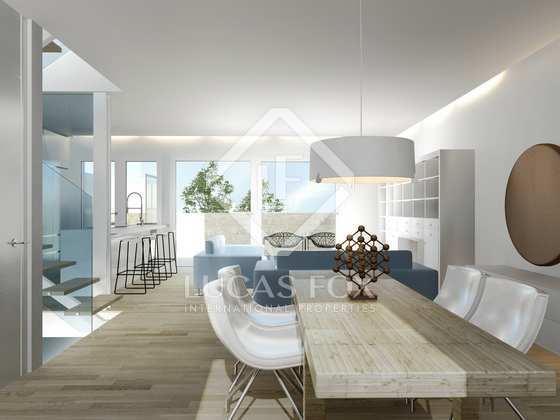 The houses measure from 178 m² and are distributed over 2 floors and a basement, with 4 bedrooms, private parking and storage. 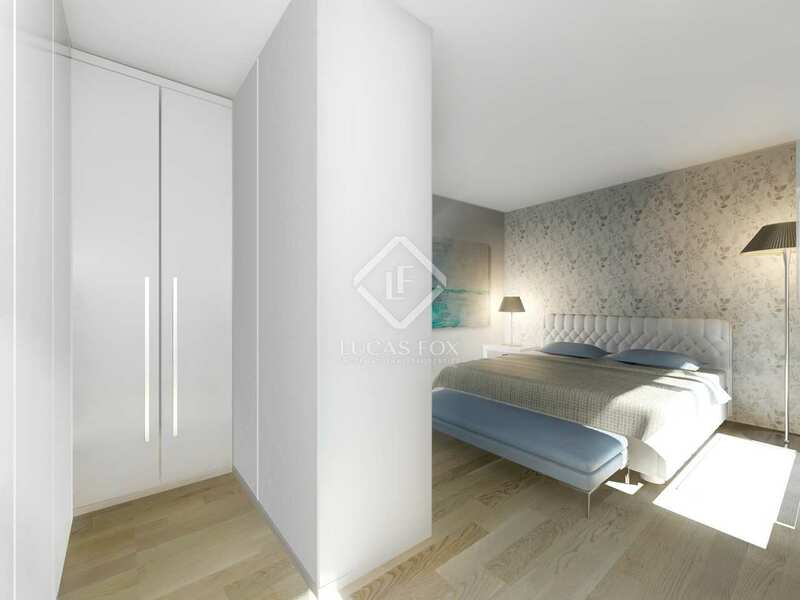 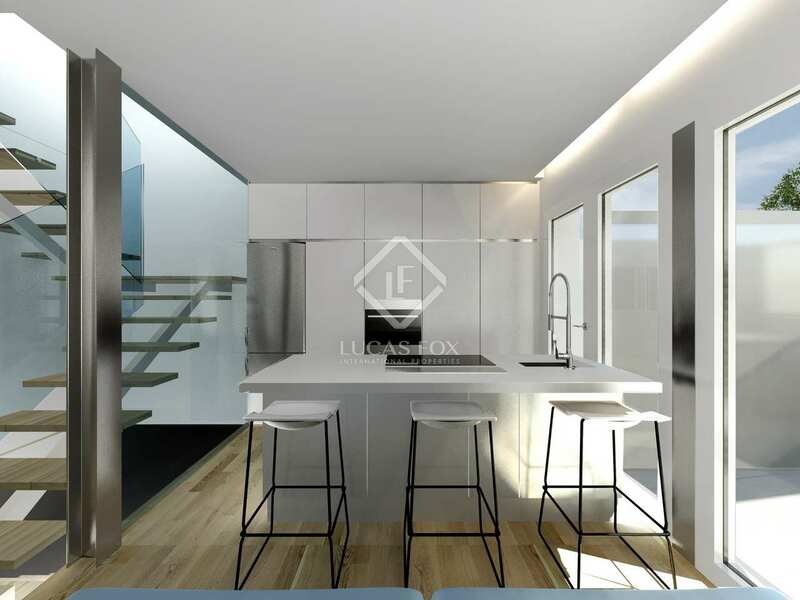 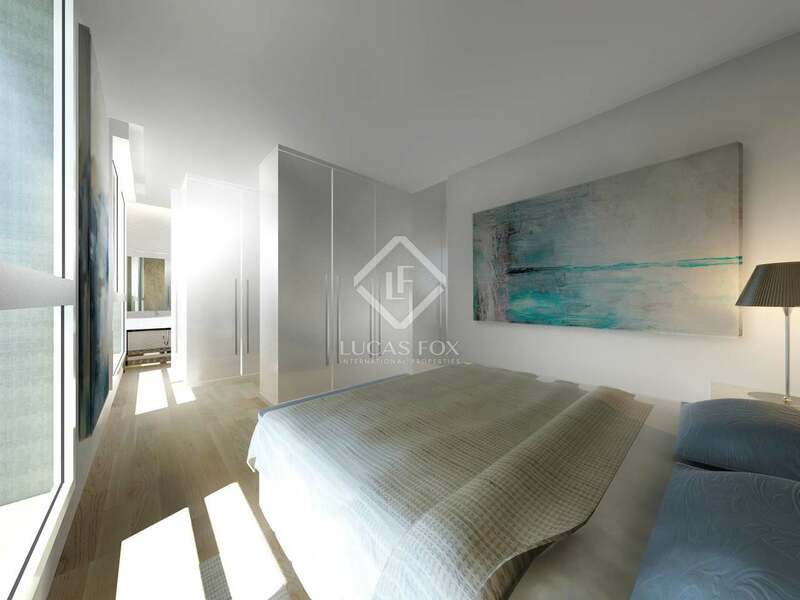 There is also the option of creating a fifth bedroom in the basement, according to the needs of the client, as there is natural light here also. The houses have been carefully designed to maximize natural light and the use of space. 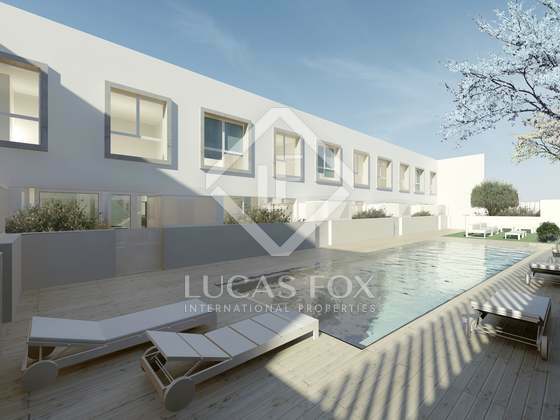 In the day area, open spaces feature with large windows that give way to a private terrace first and then to the community space where the pool is located. 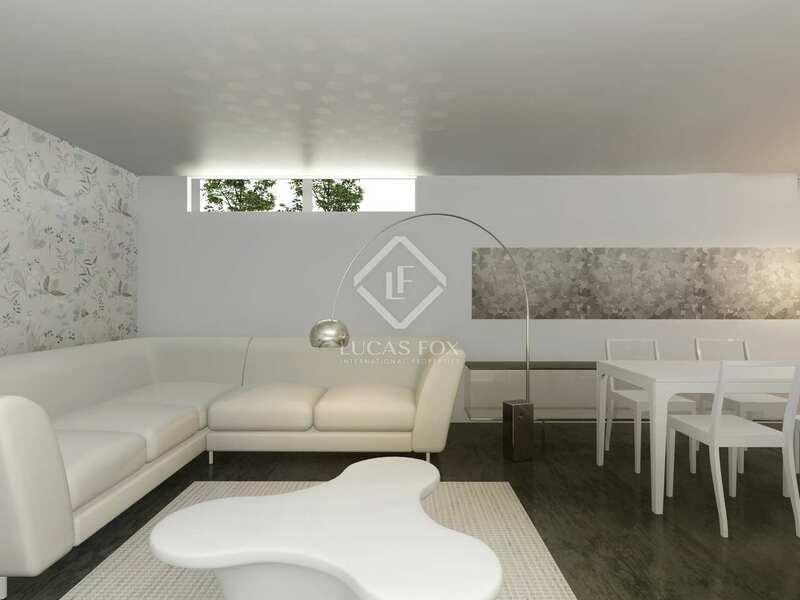 These exquisite homes would be ideal for families looking to be in the city, with all services on the same street, but with the comforts of a large house with a terrace and green areas. 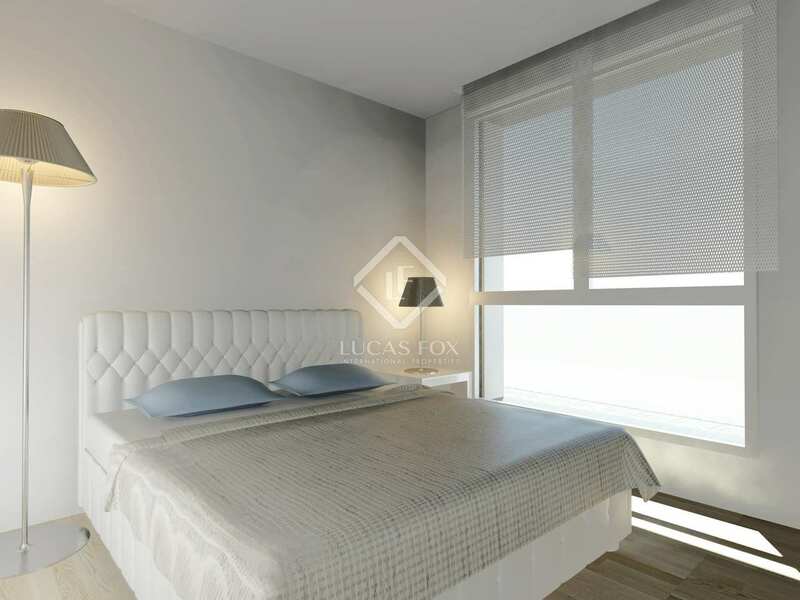 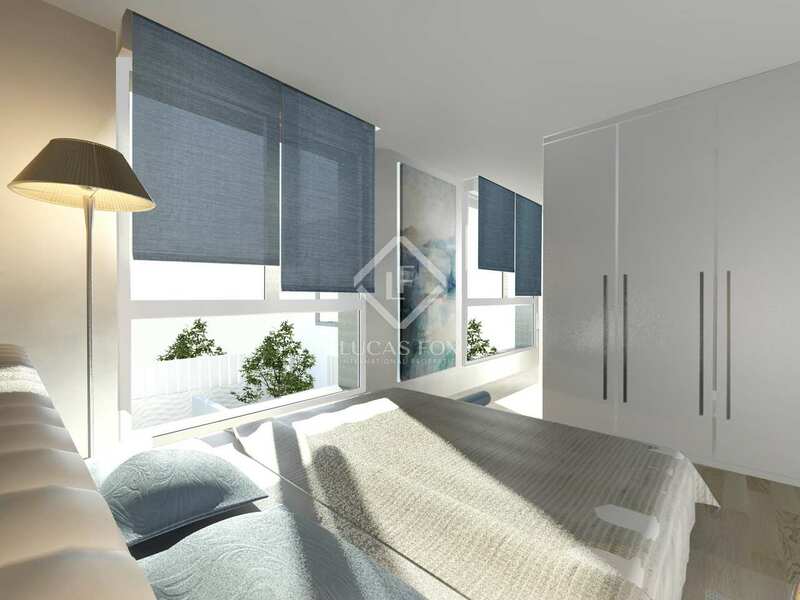 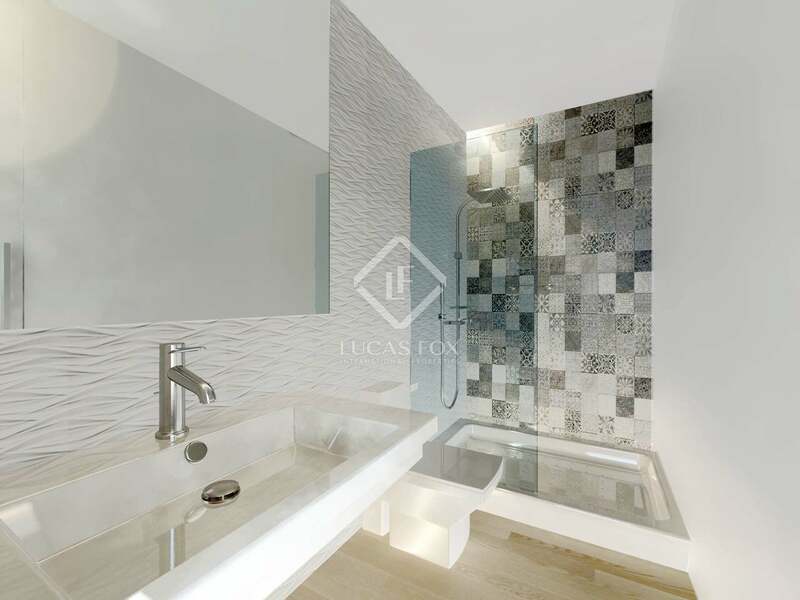 The residential development is located in a growing area of ​​Benicalap, next to the Benicalap and Marxalenes Parks, and very close to the future new Valencia Football Club stadium and the Palacio de Congresos. 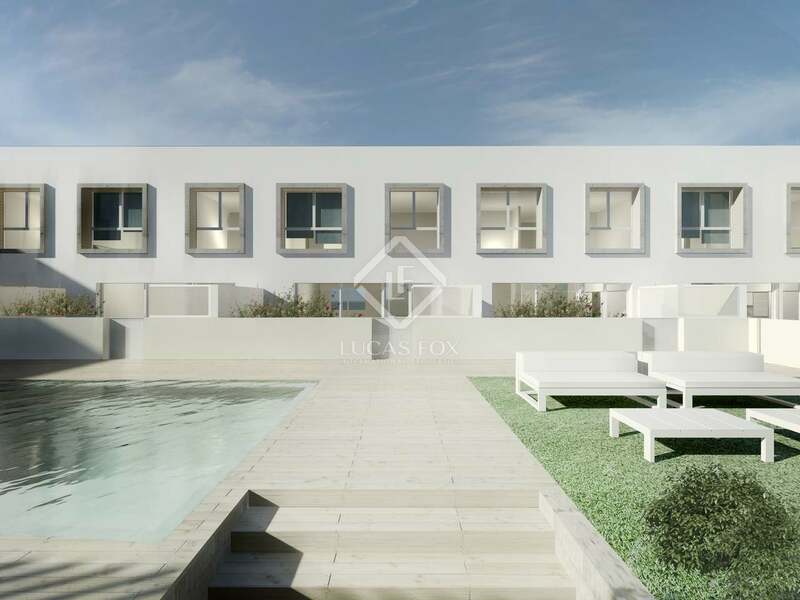 It is in an unbeatable location, close to the main roads (with direct access to the North Boulevard), buses and a metro line, and only 10 km from the airport and Malvarrossa beach.